On-time rent payments remain a coveted yet elusive benefit of being a landlord. The best thing that has happened for landlords recently is the ability to report tenant rent payments to a major credit bureau. That provides some accountability — finally! TVS landlords can sign up to Report Rent Payments, and share tenants’monthly rent payment history with Equifax Canada. There may be no greater incentive for tenants to pay rent on time every month than knowing this information will be associated with their individual consumer credit reports. This system also allows tenants to build good credit, and to receive a Certificate of Satisfactory Tenancy to present to the next landlord. TVS has launched an affiliate site, LandlordCreditBureau.ca. This database is used in conjunction with Report Rent Payments. The data entered by other landlords can be searched to determine whether a particular rental applicant is a good risk. Landlords in Canada have a disadvantage when it comes to tenant screening because previous eviction information is restricted. Career bad tenants know this, and take advantage. When it comes to minimizing income loss from bad tenants, landlords need to stick together. Sharing tenant information on the Landlord Credit Bureau database allows landlords to do just that. How do you lose money in a low-vacancy, high rent-growth market? It’s simple: you rent to one bad tenant. The better the market is for landlords, the worse it is for tenants. Bad tenants can do the math. They know they’ll be out on the street if they don’t come up with clever scams that make them look like perfect tenants. In addition to running a tenant credit report, which can flag a lack of financial responsibility, it is paramount in 2018 to develop the habit of checking previous landlord references. Don’t allow a bad tenant the freedom to scam one landlord after another. Tenancy agreements should be reviewed annually to keep up with the changing rental climate. Landlords who are new to Report Rent Payments will want to update the tenancy agreement to include the Notice to Tenant that spells out the incentive to pay rent on time each month. Have your tenancy regulations changed this year? If so, determine if the language in your tenancy agreement should be updated. Examples: British Columbia passed a vacancy clause amendment and modified rules for how tenants receive deposits back. That may require adjustments to the language in some leases. Ontario expanded rent control, so provisions regarding rent increases may be out-of-date. Landlords aren’t the only people confused about the new marijuana rules. Tenants will be unsure of the rules as well. Those rules still are in flux, but it’s not too early to mull over the policies that might need to be added to the tenancy agreement. For instance, legalization of pot may spawn complaints from other tenants over secondhand smoke or smells coming from adjacent apartments. 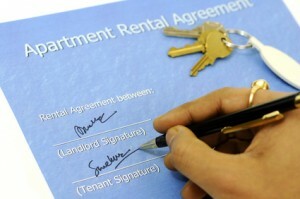 It will be easier to manage tenants when the landlord’s policies are stated in the lease. Secondhand marijuana smoke is a potential danger. Because landlords have been held liable for illnesses caused by secondhand cigarette smoke, it’s not a stretch to assume that landlords could be liable for illnesses from secondhand marijuana smoke. Also, it is possible that local governments will restrict public smoking of marijuana the same way as tobacco. For those reasons, it may be a good time to adopt a no-smoking policy. That must be included in the tenancy agreement. New tenants will be required to follow the policy, and existing tenants can agree to a non-smoking lease addendum. If the no-smoking policy is in place prior to legalization, that may quell subsequent tenant complaints. Several major cities are considering restrictions on short-term sublets through Airbnb. If tenants currently are hosting overnight guests for profit, they may be breaking the law. Vancouver’s latest restrictions allow a landlord to prohibit these sublets. For the sake of clarity, that prohibition should appear in the tenancy agreement. For all landlords, it’s time to take a position on the practice of short-term sublets, and find out what options are available to protect the rental property. When updating a tenancy agreement, be sure to speak with a local attorney who is familiar with the latest rental regulations. Landlords must allow an animal into the rental property if it is a companion used to treat a disability. Landlords with strict no-pet policies routinely run afoul of this important exception. Tenants who have been forced to abandon their beloved pets become bitter when they see that another animal is allowed at the property. It is possible to screen out bad pets just like it is possible to screen out bad tenants. For instance, a new service, MyDogsResume.com, strives to educate pet owners for successful tenancies, and owners can present a new landlord with pet credentials. It also is possible to register an animal’s DNA, which is helpful in conclusively identifying waste left behind in any common areas and enforcing rules in the tenancy agreement. By contemplating the possibility of pets in rental properties, landlords can carve out specific rules for keeping pets, and a more welcoming pet policy can increase tenant retention and satisfaction. 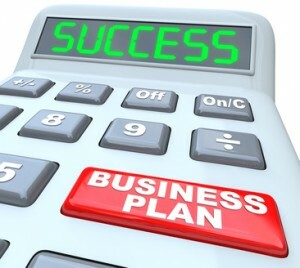 That leads to higher overall profitability. This past year saw a number of landlords who incurred catastrophic losses from unsupervised tenants. In many cases, this damage occurs with long-term tenants. The common cause: the landlord is unavailable. Often, the friend or family member left behind to manage the property lacks the knowledge or skill to do the job. These arrangements are ideal for bad tenants, who seek out landlords with informal policies, particularly those who will be far away and too preoccupied to witness the day-to-day happenings at the property. Create the illusion of active property management starting with a professional-looking rental ad, running a tenant background check, performing routine property inspections, recruiting professionals to handle property repairs, and staying in communication with tenants throughout the entire lease term. Don’t assume that long-term tenants are doing their best to care for the property. The longer the tenant gets away with breaking the rules, the more flagrant those infractions become. Several cases came to light this past year regarding invasion of privacy or loss of quiet enjoyment. The most common causes are entering the property without permission, and remodeling properties while tenants are present. For landlords who are not aware of the rules for entering a rental property — including the requirement to provide prior notice — or who are unaware of the inherent duty to protect tenants’ privacy and provide a rental property free from unreasonable disturbances, an inadvertent violation of these rules can be a costly mistake. Landlords risk being ordered to return the rent, along with paying for the tenants’ inconvenience. Utilize the slower winter season to come up to speed on these landlord responsibilities, and avoid the unnecessary income loss.